Michael Scott Moore was captured by pirates after traveling to Somalia to write a book about the history of piracy in the Horn of Africa. Kidnapped by Somali pirates, journalist Michael Scott Moore spent two and half years in captivity. At times he was held on land, other times at sea. Once, when he was on a 160-foot tuna boat, he tried to escape by jumping over the side at night. "It was, like, a 20 foot leap off the deck of the ship, and I was just exultant at first," Moore says. Moore had hoped the pirates would leave him behind in the water. "The engine wasn't in terrific shape, so I didn't think there was a way to turn around the ship," he says. Instead, the captain cut the engine and let the boat drift towards him. As the big industrial ship closed in on him in the dark water, Moore made a snap decision: He opted to get back on board. "They found me eventually with the search lights and I raised my hand and they threw me a life preserver," he says. "By that point everything was pretty desperate and pretty hopeless." The pirates had initially demanded a $20 million ransom, but as the years passed, Moore's mother negotiated the figure down to $1.6 million. Eventually she raised enough money to free her son. Moore writes about his ordeal in the memoir, The Desert and the Sea. She was horrified but I mean she was obviously trembling she was obviously scared. She was also obviously waiting for the call. So in other words, she knew I had been kidnapped. The call came about a week after my capture and by then she'd been visited by the FBI and so she knew more or less what was going on. I'm a surfer, so I paid attention to the currents. I paid attention to which way the swells were moving. The first idea if and when I jumped would have been to get away from the ship as quickly as possible, because I assumed they would start to open fire. So I had to think about how to get away from the ship as quickly as possible. The whole thing seemed ridiculous and dangerous and stupid. Slowly it settled in, after about a month or so, that I was going to be there for a long time. And so once I realized I was in a house where I wasn't going to move for a while, I asked for a yoga mat. ... And I tried to do it out of eyesight of the pirates, because I figured it would just sort of baffle them or make them laugh, and that's exactly what it did. But, you know, they never had me out of their sight. So [the] first time I did yoga all their heads sort of looked in through the doorway and they started to laugh, but then they started to do yoga with me. Some of them were aware of not getting much exercise either in these prison houses, so they would come in with sort of cardboard flats, broken down boxes, to stand on the filthy floor and they had these makeshift yoga mats and started to do the same postures. ... I had my own class, yeah, after a while I started to correct their postures. For a while it was a daily decision whether I should do it or not, and I had to make a determined decision to stay alive, because I knew ... there was a crisis at home. I knew my mother was suffering to get me out. And I also knew that there were probably military plans in place, and some somebody somewhere might actually risk their lives to come and get me. And I thought well, suicide could solve all that. You know it could end the problem at home and save any SEALs the incredible risk of trying to come get me. All these things went through my head. At some point, I made a conscious decision to forgive my guards, to forgive the most immediate people who were causing me pain. That was an incredible mental transformation. Once I reordered my brain like that, I no longer had that impulse to kill myself. It was a daily discipline, but it worked. And it was also a good thing that I had pen and paper at that time so I could write and I could distract myself, but that mental orientation was absolutely crucial. It happened very suddenly and I didn't know what was going on. And I certainly didn't believe that I was about to go free. Even though the pirates kept telling me that. ... They had told me 100 times before, and I stopped believing them months, if not years, before. And then a car arrived in the middle of the day, which was slightly unusual, they said, "Michael, we're going to take you to the airport," and I didn't dare believe them. But I packed my things, and sure enough when I got in the car they said, "We're not going to actually take you to the airport. We're going to drive you into the bush and hand you to some other Somalis." I thought, fantastic. You just sold me to another gang, if not al-Shabaab. So I was angry again. But there was a slight difference in the way I was being treated. I wasn't being packed into the car with a bunch of guys holding their rifles. It was just a couple of English speaking translators with not very much in the way of weapons. And I was handed to another Somali who managed to get my mother on the phone. So he called a number and got a negotiator who'd been working on my case ... and they both sounded elated, they sounded really happy, and they said, "Michael you're going to the airport and your pilot's name is going to be Derek." And then I knew I was going free. ... I felt lighter, but it was a progressive experience. It wasn't sudden elation, "Oh my gosh, I'm going free." It was one step at a time, towards not feeling quite so oppressed. Lauren Krenzel and Thea Chaloner produced and edited this interview for broadcast. Bridget Bentz, Molly Seavy-Nesper and Meghan Sullivan adapted it for the Web. This is FRESH AIR. I'm Dave Davies in for Terry Gross, who's off this week. Since the early 2000s, pirates operating off the coast of Somalia have hijacked hundreds of ships and held thousands of crew members hostage for ransom. Our guest, Michael Scott Moore, is a journalist who was captured on dry land by pirates in Somalia in January 2012 and held more than 2 1/2 years before he was released. Moore is a citizen of the United States and Germany. After he covered a trial of pirates in Berlin, he decided to travel to Somalia to explore the world of pirates and the possibility that the Somali coast could put piracy behind and develop a viable maritime economy. He took precautions but was seized and taken hostage. Over the course of his captivity, Moore was beaten and moved frequently. He contracted malaria. He tried unsuccessfully to escape and, for a period of time, considered suicide. He tells his harrowing story and explores some of the history and causes of piracy in a new memoir. Michael Scott Moore has written for several publications and is the author of an earlier comic novel about Los Angeles called "Too Much Of Nothing," as well as a travel book about surfing, "Sweetness And Blood." I spoke to him about his new book, "The Desert And The Sea: 977 Days Captive On The Somali Pirate Coast." Well, Michael Scott Moore, welcome to FRESH AIR. MICHAEL SCOTT MOORE: Thank you. DAVIES: I'd like you to read this portion which describes your capture. You're in a car with an armed guard up front. You want to just set this up and read it for us? MOORE: Sure. So I was traveling with another journalist, a documentary maker named Ashwin Raman. He decided to fly off to Mogadishu, so we drove him to the airport. We saw him off, and it was on the way back from the airport on a dusty road towards town that a truck full of kidnappers was waiting for us. And the truck was a flatbed truck with a cannon sort of bolted in the back. It's called a technical in that part of the world. And they're very common sort of battle wagons in the Somali Civil War. (Reading) I saw the words kibir jabiye (ph) on the technical and felt a moment of relief. A car honked. The technical jerked to life. I had not flown to Somalia to test my nerve against the worst fears of a foreign correspondent. I didn't want to tempt death, but I had broken one of the cardinal rules of anyone who pokes around in troublesome parts of the world, which is to keep your family's lives unaffected. The horror of crossing that line wasn't evident to me when the technical approached the car with its cannon aimed through our windshield. It wasn't even clear when a dozen or so men jumped off holding weapons. It wasn't clear because my brain recoiled in denial. I told myself it was a traffic stop. These armed clan soldiers just wanted to see my passport. No problem. My German passport was here in my bag. I had never witnessed denial working in my own head with so much specific clarity, but it moved like a gyroscope compensating for a drastic blow that hadn't even arrived to maintain some balance. And when the gunmen swarmed to my side of the car and fired into the air, the balance wobbled, and my bowels twisted and I understood very well what the hell was going on. I leaned against Gerlach to cover my face with one arm, as if that would help. When I turned out to be alive in spite of the thunder of gunfire, I held the door closed with my right hand. They wrenched it open and pounded my wrist with their Kalashnikovs. I had never felt so much violent malice at such close range, and I kept pulling at the door, hoping to buy time while our guard in the front seat performed his job. I was confused by the number of men who kept pounding my wrist with their gun barrels. I felt bones crack. I let go of the door, and they pulled me into the dust outside and beat me on the head. DAVIES: And that was the last freedom you experienced for more than 2 1/2 years. DAVIES: So you're taken into a car, and you're driven somewhere else. What were the first few days like? I mean, for one thing, you were injured. Your wrist was broken. Were you treated? MOORE: Yeah. My wrist was broken, and I wasn't treated for a few days. So I was in pain, and I was confused. I was - my scalp was bloody, and that was drying. And I was confused. I didn't know what was going on. They held me in a house for a few days, a very dirty prison house, along with two other hostages that I didn't meet for a couple of - for a little while. And I was just afraid. I was afraid of what was about to happen. DAVIES: And you end up being moved around an awful lot. They would see planes in the sky and blame you for it, or move you again because they thought they were being spied upon. MOORE: Yeah. We moved out of the house pretty quickly and then moved around from bush camp to bush camp for the first few days. And I think after about 10 days or so a plane flew over and circled over our bush camp. Maybe not right above, but pretty close. And it was the first time we'd heard a plane in a while, which means we weren't on a flight path. We weren't on - it couldn't have been a commercial jet. And the way it circled, it obviously wasn't a commercial jet. So the camp of Somalis went dead silent (laughter), and Rolly, who was the other hostage at the time, said, they think that plane came for you. Because he'd been in captivity in Somalia for three months, and he hadn't heard very many planes. And he was from the Seychelles. And I said, well, maybe it did. DAVIES: Right. And that's something that would be repeated countless times over the next two years. There came a point when they first asked you about a ransom and a pirate named Duulaay - Am I getting that close? MOORE: Duulaay was sort of his last name. DAVIES: He takes you out to a remote spot, gives you a phone, and says, we're going to call your mother. What did he tell you to say? MOORE: Yeah. He said - well, and demand from her $20 million. I mean, I think I must have smirked because they said, it's not funny. But it was not - you know, in some sense it was funny. It was not a serious demand. But it was an incredible sort of opening gambit. Not very many people have said they're used to hearing $20 million as an opening demand. MOORE: Oh, yeah, he was holding a pistol and waving it at me. DAVIES: And you were also to get a letter signed by President Obama absolving the pirates? MOORE: That came from another boss named Mohammed Garfanji. But yeah, Obama was president at the time, and he wanted a specific letter absolving him. DAVIES: OK. And so this first time - I mean, this is one of the remarkable things about being a hostage in the age of modern communications - is that, I mean, they got your cell phone - your mom's number, I guess, from your cell phone, which they took from your backpack. And then they can dial her. No? MOORE: Not quite. I had a grant from the Pulitzer Center on Crisis Reporting, and I should have called them first, probably. But my backpack was stolen. So all my notes with all my phone numbers were stolen. The only number I had in my head was my mother's number in California. She wound up being the negotiator on the phone with the pirates, which is not something I intended. DAVIES: What did she sound like when she answered? MOORE: Oh, she was horrified. But - I mean, she was obviously trembling. She was obviously scared. She was also obviously waiting for the call. So in other words, she knew I had been kidnapped. The call came about a week after my capture. And by then, she'd been visited by the FBI. And so she knew more or less what was going on. DAVIES: ...How to behave and what to say. Yeah. MOORE: Yeah, that's right. They gave her a lot of support and a lot of advice. And so she was pretty incredible on the phone. I mean, it was obvious that it was an emotional thing for her. But even the FBI said, somehow, she could turn it off and be all business on the phone. DAVIES: You write that one of the decisions that she made was not to publicize your case. Why? MOORE: The idea was that a famous hostage would become more expensive. So she talked it over with some magazines I had worked for, including Der Spiegel in Germany, and also with the FBI. And she made the decision to keep it out of the news. I think there were a few reports when I got captured. But there weren't more reports until I actually got out. DAVIES: So you settle into this pattern of being moved around a lot. And you obviously got to know a lot of the guards. What were the days like? What were the guards like? MOORE: The days were very long and slow. The guards - they changed over now and then? So, sometimes, the guards were very chaotic. Sometimes, the guards were a little bit friendly. I don't think I got to know or got to talk to guards until after about a month or so. At first, it was just hatred, you know? So we were also held in a house just for the first few days. And then there was a rescue of two other hostages in another kind of part of Somalia. And for some reason, the pirates pulled us out - pulled me and one other hostage out of the house and kept us in the bush for the next few weeks. So that was a little bit tense. You know, that's - and that's when they were sort of running around, away from any surveillance planes. DAVIES: Michael Scott Moore's book is the "Desert And The Sea: 977 Days Captive On The Somali Pirate Coast." We'll continue our conversation after a short break. This is FRESH AIR. DAVIES: This is FRESH AIR. And we're speaking with journalist and author Michael Scott Moore. He spent 2 1/2 years as a captive of Somali pirates after he was captured actually on dry land and held until he was released. His new book about the ordeal is called "The Desert And The Sea." One of the interesting things about reading this book is you really get to know these guards at least on some level. And there are distinctions among them. At times, you talk to them about what they did, the morality of piracy, how they viewed what they were doing. What was their view on it? MOORE: Well, they were Muslims. So I thought that was really interesting. Before I went to Somalia to write about pirates, I knew Somalia was a Muslim country and most Somalis were Sufis. I did not think that most pirates were devout. But most of my guards took breaks five times a day to pray. And when I talked to one of them about it, a guard named Bashko, he said he was a Muslim, but he was also in a position to take money from me because he said I was an infidel. And so stealing from an infidel wasn't theft. And the excuse he gave for that was that in the Quran it says to struggle with the infidel. And they were going to be merciful to me because they were not al-Shabab. They were not radical Muslims who would just shoot me dead for being an infidel. But they were going to be - going to feel justified in taking money from my mother. I'd never heard of an interpretation quite like that before. But that was the one that they lived by as Sufis. And I thought it was a strangely fundamentalist excuse for abusing another human being. DAVIES: You also write that you knew and many people knew that the United States had a publicly declared policy of not paying ransoms for pirates. Did your captors know that? MOORE: Not apparently. So I think every journalist if not most Americans know that there's is a hard-line policy in Washington against paying ransoms. And I think journalists think and maybe a lot of the American public thinks that this policy keeps us safe. In other words, it's a deterrent to some kidnappers in the world to kidnapping Americans as if they go around and select, you know, one nationality over another based on policy. And that just isn't true. And once you're in a place like Somalia, you realize how far from the truth that is because none of these guys, at least not in my guard team, paid attention to national policy. And in fact Bashko, the guard I just mentioned, came into my room one day very angry eighteen months into my captivity. And he was actively fuming about hearing some news that Washington wasn't going to contribute to my ransom. And he challenged me about it. He said, why? Why would a rich country like America not pay a ransom for one of their people? And I said, that's not what we do. And I tried to explain the rationale to him. But by then, it even seemed a little bit weak to me. DAVIES: There was a period - you know, you were on land when you were captured. And then you were moved to a ship, the Naham 3, right? - which holds a distinction in this period of piracy. Tell us about this ship. Who was onboard? MOORE: Yeah. The Naham 3 is a tuna vessel operated by a Taiwanese company out of Mauritius, which is an African island. And it had been fishing near the Seychelles when it was captured in - I think it was March 2012, sometime after I was captured. And I was placed onboard with one other hostage. And we joined the hostage crew. So for a while, there were 30 of us. And this crew turned out to be the last very large group of hostages to be held by Somali pirates. The others are portions of other crews, you know? But this - from this area that you can trace from about 2005 to about 2012 where ships were getting captured all the time, the Naham 3 was probably the last or the last big one. And then there were a few others afterwards who weren't held for quite as long. DAVIES: ...And held longer than most, too. MOORE: These guys were held for almost five years, which I think is the second-longest of all the crews that have been held by Somali pirates. DAVIES: And it's interesting because you'd been in an environment where you were just staying in a house, one house or another, day after day after day. And suddenly, you're on the deck of a ship with 13 people similarly situated, again guarded by, you know, pirate guards with Kalashnikovs. But what a different life that must have been. MOORE: Yeah. It was almost 30 people. So we were placed on land after having seen the ship from Hobyo. We were held in some sort of Italian colonial rule or something in Hobyo. We saw the ship. And a few weeks later, we were actually placed on the ship. And I had no idea what was going on. I assumed we were going to sail to some other part of the Somali coast to foil, you know, a military rescue or something like that. So I was desperate once we got on the ship. I was really depressed. I also injured my back on the skiff ride over. And the pirates had confiscated any notes I had taken on land. My life seemed to have been, you know, sort of brought low by - when they brought me onto the ship at night. MOORE: But in the morning, all of a sudden it was evident that there were 30 hostages. And all of a sudden I had, you know, an enormous group of potential friends. DAVIES: Right. And so you lived this life together. There were also planes coming over. And you later learned that they actually got a picture - a recognizable picture of you from - through a plane or a satellite? MOORE: Yeah, that's true. I'm not sure if it was a plane or a satellite. But my mother saw a picture of me on the deck of that ship. And I think she said it was a satellite picture. But a little bit later in the summer in 2012, a plane started to visit the ship very regularly and very conspicuously. And it was obviously taking pictures of us. I think it was a spy plane of some kind. DAVIES: What did you consider in figuring out whether you wanted to try this? MOORE: Well, I'm a surfer, so I paid attention to the currents. I paid attention to which way the swells were moving. And the first idea, if and when I jumped, would have been to get away from the ship as quickly as possible because I assumed they would start to open fire. So I had to think about how to get away from the ship as quickly as possible. The whole thing seemed ridiculous and dangerous and stupid. So I contemplated it. I - you know, I fantasized about it. But for a long time, I didn't do anything. DAVIES: But eventually you did, right? MOORE: Yeah. After that, the plane started coming and - this twin-engine plane. And I wasn't sure whether that was flying from land somewhere or from an aircraft carrier. And that was an intriguing idea to me that there was an aircraft carrier nearby. So it was obvious we were under surveillance. It was clear to me that the Americans knew where I was. And then one afternoon, the anchor chain of the Naham 3 broke. And instantly the - this 50-meter ship - this industrial fishing ship started to twirl in the water. It started to move with the current, I think, northward along the coast completely out of control. And the crew obviously mustered to try and do something about it. And within 20 minutes, that plane arrived. And the crew got the ship under control, but the engine didn't sound too good so - once we were trundling in some, you know, reasonable way along the coast to some other kind of anchorage. First, I assumed the pirates were going to take us onshore. So I thought these were the last hours we were going to spend on the ship because the ship was starting to break down. And that night, I also assumed that we were being watched by the Navy, which we probably were. And then I thought, well, maybe there is an aircraft carrier nearby. And I made a plan to get off the ship. I actually got out of bed when I wasn't supposed to be out of bed, found a way to get down to the deck, and I jumped. I jumped into the water. DAVIES: What did it feel like? MOORE: (Laughter) It felt great. Oh, my God. No, it was - the water was warm. It was like a 20-foot leap off the deck of the ship, and it was just exultant at first. I mean, of course I was terrified, too, because I expected gunfire. But I swam with the current, with the swell. You know, I had observed which way the waves were going, and I just kept going. And in a couple of minutes, I was clear of the ship. No one fired a shot, and so then I was out there in the dark water. DAVIES: And then what happened? MOORE: I assumed the ship was going to keep going 'cause, like I said, the engine wasn't in terrific shape so I didn't think there was a way to turn around the ship. But, you know, I had swum with the direction of the swell. And actually what the pilot of the ship did was cut the engines and let the ship drift towards me on the swell. And that was fairly terrifying because it was a big, lit-up industrial ship, and it started tilting towards me on these black waves, you know. MOORE: It was - because it was a larger craft, it was going to move faster than me. And if I had let it roll over me, it probably would've cut me up because it had been sitting at anchor for so long. So I decided pretty quickly to get back on the ship. I raised my hand. They found me eventually with the search lights, and I raised my hand. And they threw me a life preserver. I have to say if I had heard a helicopter at that point, I would've swum around and evaded. But by that point, everything was pretty desperate and pretty hopeless. MOORE: Oh, yeah. No, I mean, the pirates were angry. The rest of the crew was very helpful. They gave me some water in case I was dehydrated or hypothermic or something. They tended some wounds and that kind of thing, but the pirates were really angry. And the next morning, Ali Dulai, who was one of the bosses we've mentioned, came into my cabin where I had been stuffed in solitary confinement and beat me on the - while I was lying on the bunk. 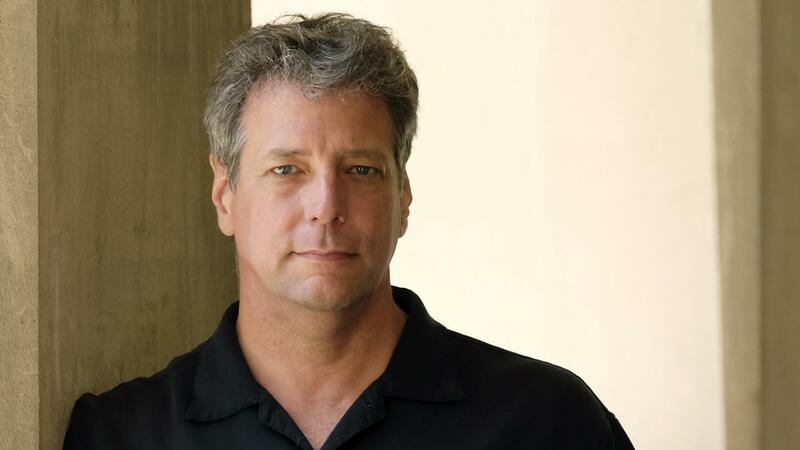 DAVIES: Michael Scott Moore's new book is "The Desert And The Sea." After a break, he'll tell more about his captivity, including how a homily delivered by Pope Francis on the radio inspired a change in his thinking that allowed him to cope with the ordeal. Also jazz critic Kevin Whitehead tells the story of a new recording inspired by a discussion of art, race and politics in America. I'm Dave Davies, and this is FRESH AIR. DAVIES: This is FRESH AIR. I'm Dave Davies in for Terry Gross who's off this week. We're speaking with journalist Michael Scott Moore who was working on a story about Somali pirates in 2012 when he was seized and held hostage for 2 1/2 years. He has a new book about the experience called "The Desert And The Sea." He was captured and held on land, but at one point was transferred to a captured tuna vessel. When we left off, he described trying to escape by jumping into the sea. He was recaptured and beaten for making the attempt. You eventually were taken back off of the ship and resumed your life of being moved from one house to another. And this went on for a very, very long time with intermittent phone calls to your mother and negotiations. You know, people in prison sometimes adjust to life there. I mean, they make a life - not the one they would have chosen. And I'm wondering how you adapted to this. I mean, surely you didn't come to think of this as home, but did it get normal in some way? How did you maintain your mental state? MOORE: Slowly it settled in after about a month or so that I was going to be there for a long time. And once I realized I was in a house where I wasn't going to move for a while, I asked for a yoga mat. I asked for a mat where I could do yoga. And I tried to do it out of eyesight of the pirates 'cause I figured it would just sort of baffle them or make them laugh. And it - that's exactly what it did, but, you know, they never had me out of their sight. (Laughter) So first time I did yoga, they all - all their heads sort of looked in through the doorway, and they started to laugh. But then they started to do yoga with me. Some of them were aware of not getting much exercise either in these prison houses, so they would come in with sort of cardboard flats but broken-down boxes - right? - to stand on on the filthy floor. And they had these makeshift yoga mats and started to do the same postures. DAVIES: So you had your own class. MOORE: I had my own class. Yeah, after a while, I started to correct their postures (laughter). DAVIES: And did that create a bond at all? MOORE: Sure. I mean, with the guards who were inclined to be friendly to me already - some of those were guards that knew me from the ship or from before. They became almost friends, you know? The other guards really wouldn't - you know, didn't seem to care about me at all and didn't even want to hear a word of Somali from me. But with those guards, I could build up a rapport - with the friendly ones. And we could sort of mix our Somali and English and have conversations. DAVIES: You're a writer. It's, you know, a longtime habit in a mental refuge. And I gather sometimes you had notebooks. Sometimes you wrote things that were confiscated and lost. But when you could write, was it helpful? What did you write about? MOORE: Oh, it was incredibly helpful. And of course the first few times I had notebooks - I think I had my notes confiscated twice while I was a hostage. And those first couple of times, of course, I was writing about what was happening, and that was probably my mistake. So the the bosses were very curious about what I was writing. And sometimes I even quoted one of the guards, you know, naming the boss or something like that. And I got the impression that some of the guards might've been punished for some of the things I'd written. So the third time I got my hands on a notebook, which was very late, so I - once I was brought back onto land, I went a very long time with no notes, no pen or paper. And that was horrible. That was awful. Once I got my hands on pen and paper again, I started to write recipes, and I started to draft a novel. So I wrote about things that were not going on, and that actually helped me hang onto the notebooks. MOORE: Recipes. I was so hungry that I started to fantasize about Mexican food in California, meals that I'd had before here and there, including a kidney stew that I remembered from Great Britain but never cooked in my life. And I wrote down the ingredients just to imagine what it would be like to cook it. And it still surprises me - because I'm not an especially good cook - that I got all the ingredients right. DAVIES: Did you pick up any Somali recipes? I mean, they fed you - what? - camel meat and rice sometimes. MOORE: They did. Those were good days when I got camel meat. Most of the time, they just fed me beans or pasta with some boiled potato on it, so not very much. Sometimes for protein, they boiled a goat. And boiled mutton isn't something I need to eat again very soon. Camel is especially good, and we got that every now and then. DAVIES: You got a Bible at one point. This might've been on the boat, the Naham 3, right? MOORE: Yeah, it was on the Naham 3. Yeah. DAVIES: And you said you read it through more than once. MOORE: Yeah, I probably read it twice. I had nothing to read otherwise, and so I devoured it actually. DAVIES: ...Particularly a religious person before, right? MOORE: Right. I had been a Catholic boy, but I was lapsed Catholic. And so I read it very critically. I was looking for, you know, some solid advice (laughter). And in the Old Testament, it was remarkable how all the advice was, you know, make a good life on Earth. The Song of Psalm and the Psalms, which some of which come from King David, they were all about building a very good worldly life, which is the opposite of what we think of as Christianity obviously. And so when I got to the New Testament, I was looking for very specific advice about how to die basically. And it's remarkable how vague the New Testament can be sometimes. But all that stuff sank in, and I think it wound up helping down the road. DAVIES: You thought about suicide. You say you thought about suicide a lot, and there's a family history here. Do you want to share that? MOORE: Yeah. Well, so my father died when I was 12. I thought it was a heart attack for a long time. I didn't realise until I did some research myself in 2010 - so not very long before I went to Somalia; about a year and a half or so - that he had shot himself. So he committed suicide, and that was on my mind obviously. Once I was captured in Somalia, I felt that somehow I had steered myself into this situation that was - where I had to make a similar decision. And it was on my mind a lot, especially after I wound up on land after the ship. DAVIES: And how did you consider it? What - yeah. MOORE: Well, there were weapons around all the time. And sometimes the pirates actually abandoned a Kalashnikov on the floor. And so then I would have to think very carefully about whether I should pick up the Kalashnikov and whether I should start trying to escape that way. So in other words, whether I should start killing my guards. But even if it was half-successful, I probably would've been shot dead by the rest of the guards. There were never fewer than seven of them in a prison house. So in the end, it would've been a suicidal gesture. And all these things were going through my head. You know, for a while, it was a daily decision whether I should do it or not. And I had to make a determined decision to stay alive because I knew that either - I knew there was a crisis at home. I knew my mother was suffering to get me out. And I also knew that there were probably military plans in place, and somebody somewhere might actually risk their lives to come and get me. And I thought, well, suicide could solve all that. You know, it could end the problem at home and save any SEAL(s) the incredible risk of trying to come get me. All these things went through my head. DAVIES: And so why do you think, in the end, you didn't try? MOORE: Well, a big motivation was hatred for the guards and - as well as suffering and depression, you know? But at some point - and this was after hearing a homily from the pope, as a matter of fact, on the radio. At some point, I made a conscious decision to forgive my guards, to forgive the most immediate people who were causing me pain, you know? And that was an incredible mental transformation. And once I reordered my brain like that, I no longer had that impulse to kill myself. It was a - you know, it was a daily discipline, but it worked. And it was also a good thing that I had pen and paper at that time. So I could write, and I could distract myself. But that mental reorientation was absolutely crucial. DAVIES: Can you talk a little more about that - I mean, how you managed to let go of the hatred and why that changed everything. MOORE: Well, I mean I was sitting there feeling guilty about all sorts of my own problems, you know, all sorts of mistakes that I had made. And what the pope said was very eloquent. And it said something about how the mercy of God can actually lift these sins away. In other words, if you forgive other people, you can be free of your own mistakes. And that worked. It really did. I changed my mental attitude towards the guards and stopped directing hatred towards them, you know, during a good portion of each day. And I felt lighter in myself. And I started to get on with the business of just surviving. DAVIES: We're speaking with Michael Scott Moore. He's a journalist and author who was captured by Somali pirates and held for 2 1/2 years. His new book about the ordeal is called "The Desert And The Sea." We'll continue our conversation in a moment. This is FRESH AIR. DAVIES: This is FRESH AIR. And we're speaking with writer Michael Scott Moore. His new book about his experience being held captive in Somalia by pirates is called "The Desert And The Sea." Eventually it happens, right? I mean, eventually your mom connects with people. And it all works out. A ransom is paid. And you are taken to the airport to a guy driving a little plane out of this airport at Galkayo. And could you describe the feeling? MOORE: Yeah. Well, it happened very suddenly. And I didn't know what was going on. And I certainly didn't believe that I was about to go free even though the pirates kept telling me that. DAVIES: They told you that 100 times before. MOORE: They told me 100 times before. And I stopped believing them, you know, months if not years before. And then a car arrived in the middle of the day, which was slightly unusual. They said, Michael, you know, we're going to take you to the airport. And I didn't dare believe them. But I packed my things. And sure enough, when I got in the car, they said, we're not going to actually take you to the airport. We're going to drive you into the bush and hand you to some other Somalis. I thought, fantastic, you just sold me to another gang, you know, if not al-Shabab. So I was angry again. But there was a slight difference in the way I was being treated. I wasn't being packed into the car with a bunch of guys holding their rifles. It was just a couple of English-speaking translators with not very much in the way of weapons. And I was handed to another Somali who managed to get my mother on the phone. So he called a number and got a negotiator, who had been working on my case - and my mother. And they both sounded elated. They sounded really happy. And they said, Michael, you're going to the airport. And your pilot's name is going to be Derek. And then I knew I was going free. And of course it was - I felt lighter. But it was a progressive experience. It wasn't sudden elation. Oh, my gosh, I'm going free. It was one step at a time, you know, towards not feeling quite so oppressed. DAVIES: Can you tell us what the terms of your ransom were? MOORE: Well, my mom talked them down to 1.6 million. The demand was 20 million, but I got out for 1.6 million. DAVIES: And where did she find that? MOORE: Oh, she had to scrape it up herself. I mean, she collected it with help from family and friends, from some magazines I had worked for and some institutions in the U.S. and in Germany. DAVIES: You know, we didn't mention. But you had malaria in your captivity. MOORE: Yeah, it sounds like I had malaria and typhoid at the same time. I just felt sick. But the pirates actually took a blood sample and brought it to a real clinic. And I know that because it came back with test results and the proper drugs. So they were trying to keep their hostage alive. And the test results said typhoid as well as malaria. And I had drugs for all of it. And it took about a week, but I got better. DAVIES: So what kind of physical shape were you in when you were released? MOORE: Oh, terrible. I had been so malnourished that my immune system had actually started to fail. So I had infections in my skin. I had boils. I had some kind of a just - I don't know. I was coughing for some reason - a lung infection or something, certainly an ear infection - you know, all kinds of little things that were going wrong that I had just gotten used to. And I was also incredibly thin. My muscle had wasted away. So even though I'd been doing yoga, I think I was weaker than I realized. I had simply not been walking enough. DAVIES: It's really touching when you describe in the book your reunion with some of the people who were also hostages - the first two guys that you knew and then some of the crew from the ship, the Nahad 13 (ph). MOORE: Yeah, the Nahad 3 (ph). MOORE: Like we said, they were held for almost five years. And so when I got out, they were still captive. I got involved in their case a little bit. And when they finally got out in the fall of 2016, I went to Nairobi, and I saw them. And that was wonderful because they weren't expecting to see me. They weren't - at that point, they were also bewildered by going free after all that time. And they were surrounded by people they'd never seen before, you know. And then they saw me, and they sort of erupted. It was really, really wonderful. DAVIES: You describe a Facebook message you got from somebody in Somalia, which was - tell us about it. MOORE: When I got out, I - maybe a month later or so, I got a message through messenger on Facebook from one of my guards. He contacted me and just wanted to sort of - I think he tried to say he was sorry or something like that. But he was interesting to sort of correspond with. DAVIES: You know, it's interesting that one of the guards said to you at one point, you know, Michael, pirates no more. Pirates finished. This has really kind of come to an end, this period of piracy on that part of the coast, right? MOORE: And it happened while I was lying there. Yeah, exactly. So it stopped becoming much of a headline while I was a captive. That was Bashko. He said, yeah, the pirates aren't so active now anymore. And that was the first I heard of it. But it started to be corroborated by things I heard on the radio. DAVIES: And why is that? Why did it come to an end? MOORE: Because - mainly because of shipping industry practices. Cargo ships still give Somalia a wide berth. They don't sail too close to the coast. And a lot of them hire armed guards. And it turns out a spatter of bullets in the water can scare off a skiff. It's just not worth it for them if there's actually an armed team on a cargo ship. And that has really convinced - it hasn't gotten rid of the pirate gangs. But it's convinced the bosses to concentrate on other businesses. And, you know, they're still out there running around in skiffs maybe in, you know, smaller numbers because when - especially the last spring in 2017, ships tried to sail closer to Somalia and sort of cut their distance by sailing close to the coast again. They got captured. So the gangs are still around. And actually, I've written - I wrote a feature for Businessweek, a little more than a year ago, explaining how some of the bosses have actually moved into this into human smuggling. At least one former pirate financier became a financier for human traffickers on the Horn of Africa. DAVIES: Well, that's discouraging. I mean, of all the money that's come in in ransom payments, I mean, I guess one thought might be, well, there's some capital there that could be used for investment in a legitimate economy. MOORE: Well, exactly. And I was hoping that would be true. I think probably it has bled out into the legitimate economy. But the actual pirate bosses, they're gangsters. They're organized criminals. So they've probably ploughed some of their money into real estate but also into other illegal businesses, including gun smuggling. That's another big one. DAVIES: You know, I have to ask you. This was an ordeal. This was a horrible experience. It went on for, you know, 2 1/2 years. And were you at the time often thinking, if I survive this, I'm going to have a great story to tell. This is going to be a book. MOORE: Well, I knew I had good material. But after some time in Somalia, I didn't - I couldn't afford to hope I was going to get out anymore. So I simply had to find a different way to live. So no, I didn't assume I was going to get out to be able to write the book. I knew there was at least a 50 percent chance that - you know, who knows? - a rescue was going to come in. Or I would get shot accidentally - but at least a 50 percent chance that I would get killed somehow. DAVIES: So you had to survive by saying, this is my life. MOORE: Yeah, I had to reduce everything to just the beans in the morning and the misery during the afternoon. DAVIES: Well, Michael Scott Moore, thanks so much for speaking with us. MOORE: Thank you very much. DAVIES: Michael Scott Moore is a journalist and novelist. His new book is "The Desert And The Sea: 977 Days Captive On The Somali Pirate Coast." Coming up, jazz critic Kevin Whitehead tells the story of a new recording inspired by a discussion of art, race and politics in America. This is FRESH AIR. (SOUNDBITE OF ANGLE AND JOAO CESER'S "BENDER") Transcript provided by NPR, Copyright NPR.